Kofi Annan is delighted that the Kofi Annan Foundation and the Bill & Melinda Gates Foundation (BMGF) have renewed their collaboration to mobilise global leadership and support for the transformation of African agriculture. They will continue to work towards ending hunger in Africa and improving food and nutrition security in the continent. 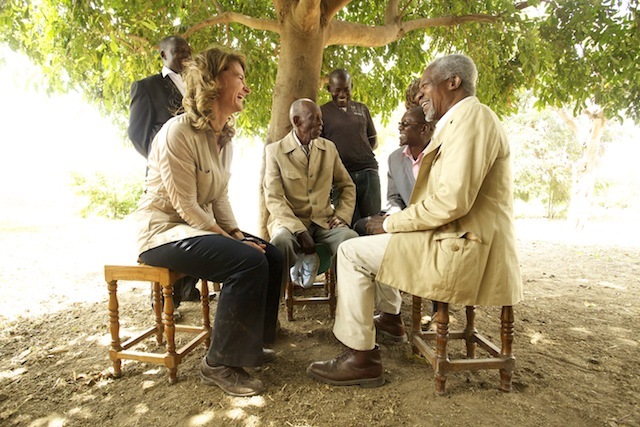 “I thank Bill and Melinda and their team at the Gates Foundation for their remarkable commitment to helping the poorest and most vulnerable, and for their continued support of my Foundation, which enables us to work towards a fairer, more peaceful world”, said Mr Annan. Learn more about our combatting hunger work here.